A homeless ex-MMA fighter battles the vampires who killed his family. Our hero Hunter, a cage fighter with a severe case of toxic masculinity, awakens from dreams of his glory days to his new reality as a homeless man. The MMA fight that was taunting him is seemingly the reason for his now lonely existence, haunted by the memories of his coiled violence, which conditioned him to lash out at his opponents. His days are spent panhandling as he is tormented by bloody visions that hint at an unfortunate outcome for his family. He winds up at the Ditmar shelter where food and a bed comes at the price of enforced psychotherapy. Danni (a captivating Rachel Cerda), who runs the therapy, says she is doing so for her thesis. She also explains she has a dark past in which her own temporary homelessness led to tragic unexplored consequences for her family. She believes helping homeless people who are at the mercy of drug addiction or undiagnosed psychosis may prevent others from going through what she and her family did. As the sessions progress they are intercut with stories of Luke (Ryan Heindl) and his murderous brotherhood of roommates. These two stories run concurrently and obviously connect to each other some way, but that is not clear until over halfway through the movie, and that deliberate obscurity is a choice that hurts the narrative. It's hard to engage and become engrossed with such a disjointed script. 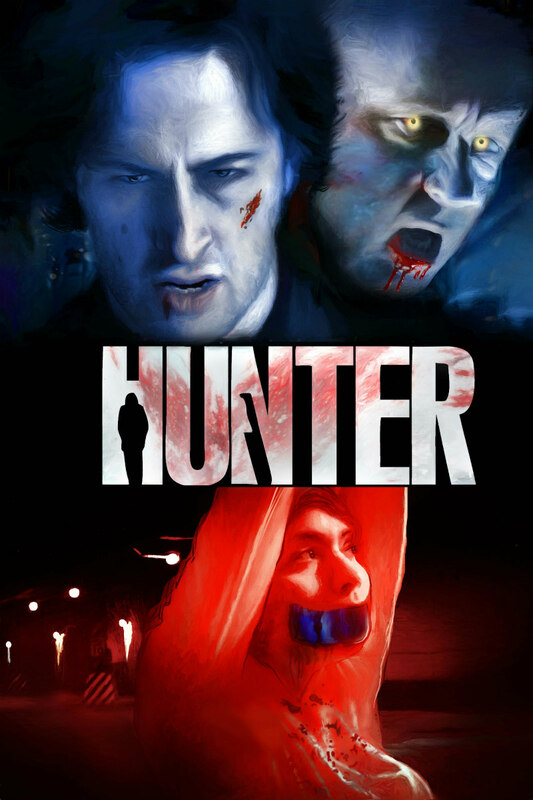 After he saves her from a deranged bum with a knife, Danni and Hunter have a date and share their sob stories; his involving vampiric home invaders, hers a lesson in regret. The two disparate stories converge and lead to a protracted climactic battle between our hero and a fanged fraternity of bloodsuckers. The ‘damsel in distress’ ending was a bit of a let down after the time taken to build such a strong female character in Danni. Having her reduced to a trope in his hero journey does a great disservice to the good work put in earlier in the film. 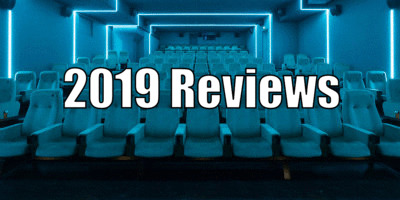 There are jump cuts aplenty, particularly during the action sequences, which are usually heavily overlaid with the panting of a running Hunter, but generally the direction by David Tarleton is serviceable and occasionally rises above what is expected. The music by Morgan Eiland is mostly successful and used wisely, the effects by Dylan Ludwig believable. As written by star Jason Kellerman, the romance between Danni and Hunter feels natural and the actors have a nice chemistry that makes it easy for us to invest in. It helps that you have two likable leads in Cerda and the convincing Kellerman as Hunter. The revenge story is also easy to swallow but I mostly liked the line from Danni when asked why she didn't skew revenge for her situation. "It would make you feel better," Hunter says. "But it wouldn't make me better," she replies. Though this seems disingenuous given the finale, I appreciated the sentiment behind those words. It feels mostly like an origin story, and a strong one at that. John Wick with a supernatural twist (Kellerman’s similarities to Keanu are hard to miss) would seem to have a ready audience. With some better pacing this would have been a winner but as it is, it's a pleasant appetiser to a possible follow up main course. Just make sure Rachel Cerda is in that one too! 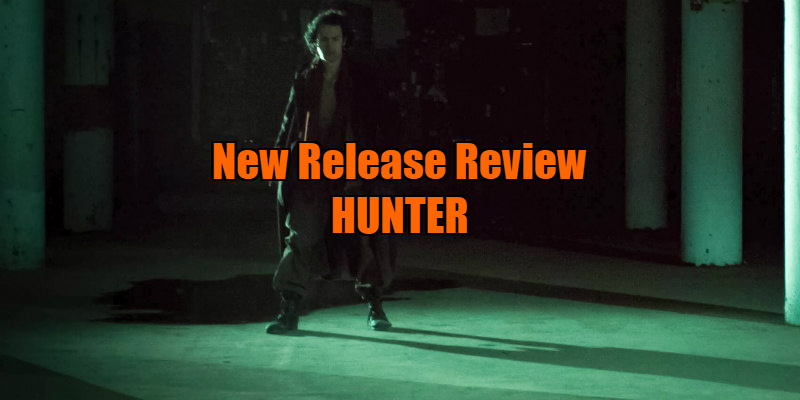 Hunter is on VOD now.